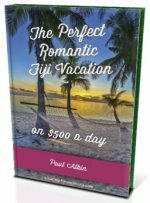 Want to explore the stunning Fiji Islands on water? A Blue Lagoon Cruise Fiji is one of just two options for your overnight cruise in beautiful Fiji. Blue Lagoon Cruises Fiji has it's roots way back in 1950 before Fiji was a tourist destination. It's ship is the 'Fiji Princess' 60 metres (179 feet) in length and accommodates up to 68 guests. Large enough to offer a quality comfortable experience, and small enough to navigate around the islands and to be tied to a coconut tree when anchored! Blue Lagoon Cruises is just one of two overnight Fiji luxury cruise options, along with Captain Cook Cruises. It operates from Denarau Marina on Denarau Island and it's routes includes the Yasawa Islands and Mamanuca Islands. Blue Lagoon Cruises Fiji has 3 itineraries as listed below, 3 nights, 4 nights, and 7 nights. You usually don't spend more than 4 hours cruising which gives you plenty of time to explore or laze on the islands. Is a Friday to Monday affair stopping off at a different island or two each day. Departs from Denarau Marina, then you are dropped off via speedboat on the Monday. This completes the weekly cycle with the 4-night cruise operating from Monday to Friday. 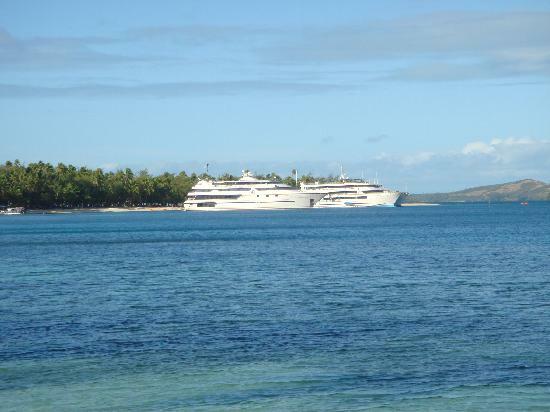 You'll leave Denarau Marina via speedboat on Monday to meet up with the Fiji Princess. On Friday, you cruise back to port. This 7-night cruise combines the 3-night and 4-night itineraries, so Friday to Friday. 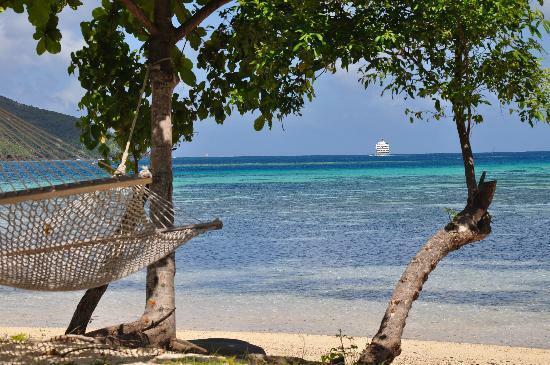 You will spend 7 days of diving, snorkelling, village and school visits, lazing under coconut trees, relaxing, and mouth-wateringly, seeing and experiencing some of Fiji's most stunning islands.